Palm hearts are vegetables extracted from the inner core of certain palm trees, especially the coconut palm. Palm heart is eaten on pizzas or as part of a salad. 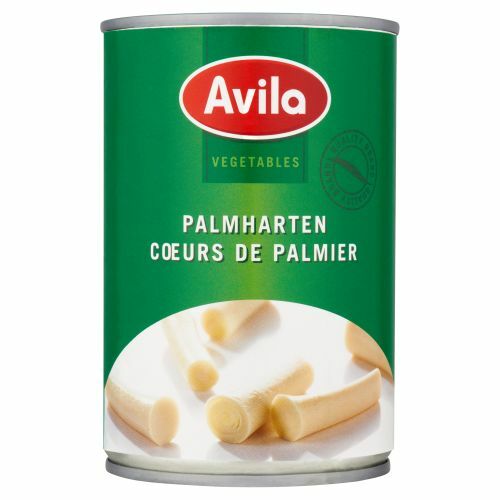 Ingredients: Palm hearts, water, salt, citric acid.